Designed for developing a student’s understanding skills, these templates serve as the basic pillar in understanding the magic of numbers. Such templates improves the subsidizing skills (recognizing a number without using other mathematical process) of the learners making them more accurate in recognizing numbers. 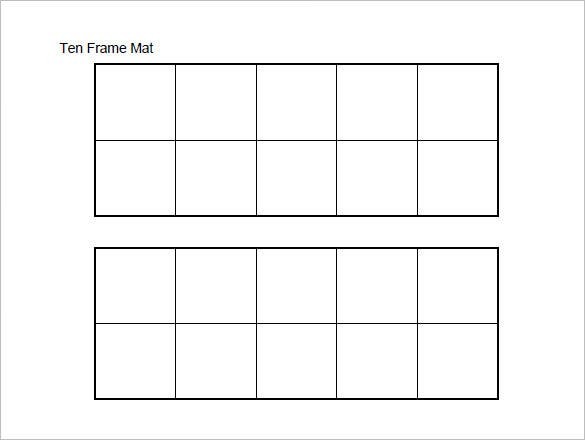 These templates allow you to have a more designer panel been ready for making ten frame mathematical systems. 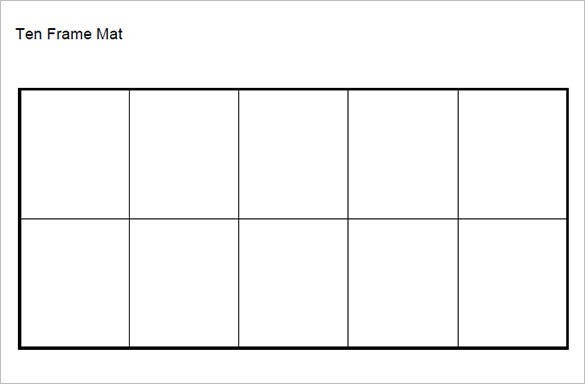 Suited mostly for growing kids, such ten frame templates ensure better understanding of the mathematics subject. You may also visit Structure Template. With pre-existing dots present on the templates makes them suitable for beginners. Designed to develop subsidizing skills, such templates are an excellent way for letting your kid enjoy the secret of numbers. Further such frame creates an affinity towards mathematics subject essential especially for kids. Designed and crafted specially for kids, these templates add a new flavor to the old ten frames. With amazing visuals and graphics designed especially for kids makes them far more different from others, ensuring a new learning experience for kids. Loaded with fascinating visuals this template easily grabs attention to every individual. This is a fun way to practice on a ten frame template. 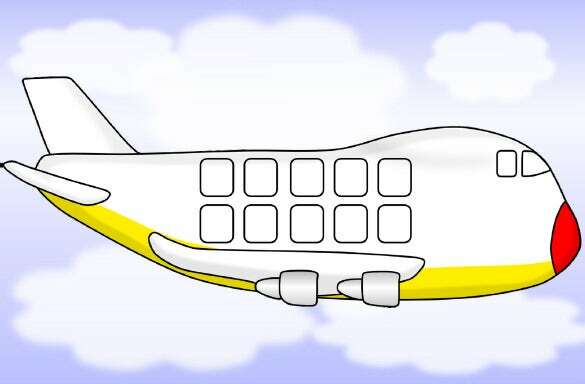 It’s a very creative and cute thought to have an aeroplane carrying a ten frame and your kid is going to love it. In one template as well you can put in ten templates. Download PSD ten frame template and you can see various designs which can be incorporated into pictures and texts. 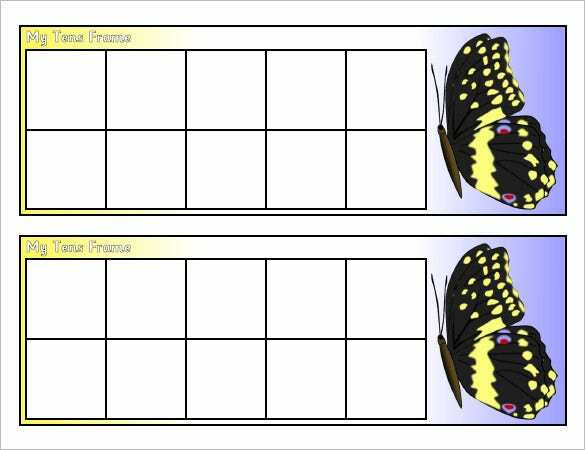 Developed for improving mental mathematical skills, these ten frame templates are mostly appropriate for kids. Involving in such activities creates an affinity towards mathematics subject which are essential for a growing kid. Further these activities enable the child to develop sound knowledge of basic addition and subtraction factors for ten, which serves as an integral part of mental calculation. 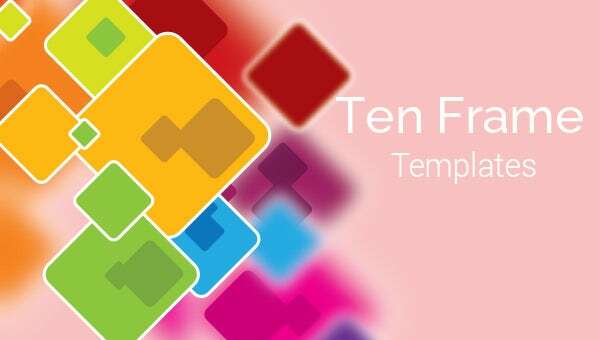 Ten being the base of our numeration system enables the kids for developing a proper knowledge about number even before they know the value of each. 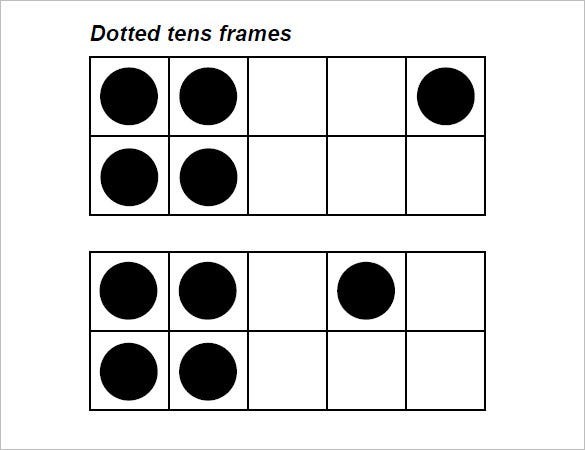 With a simple introduction of second frame at the right side of the first frame in the number system, ten frames prove to be a first step towards understanding the concept of two-digit numbers. How to Create Ten Frame Templates? Creating Ten Frame templates is a very simple process. 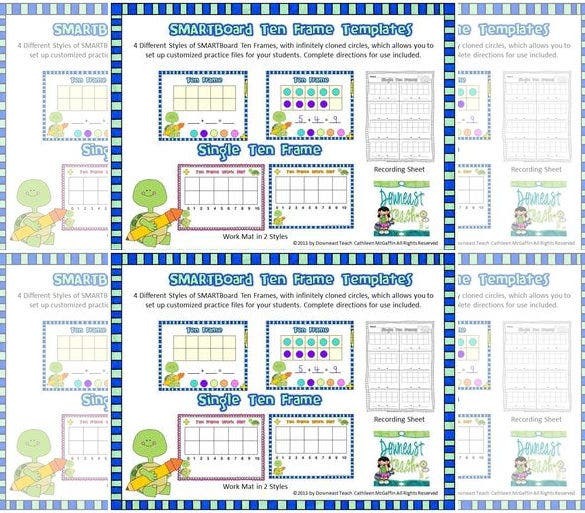 Created and designed for teaching kids about number system, these templates are useful for developing subsidizing skills essential for growing kids. As ten being the base of our numeration system, kids find it easier to identify numbers lot before they know the actual value of them. This involves placing of first frame followed by the second frame containing digits and thus helping the kids to identify the number. With lots of efforts and rigorous practice, kids finally become able to know the magic of numbers. Required for place value system and mental calculation, a child has to develop “sense of ten”. 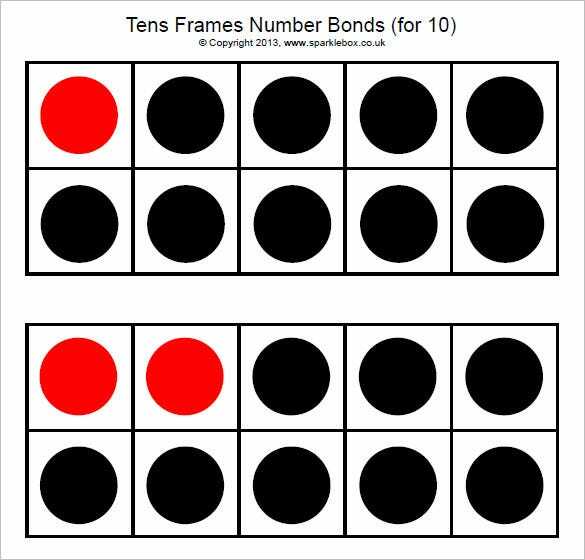 Ten frames are two-by-five arrangement of ten rectangular frames placed equally for illustrating numbers that are less than or equal to ten. Developed in late 1980s, these are of great help in developing mathematical skills in kids. Creating an affinity towards mathematics subject, these templates serve a great deal in help the kids achieve such subsidizing skills.